People in the hospitality industry are born and raised to accommodate all guests as good as possible. 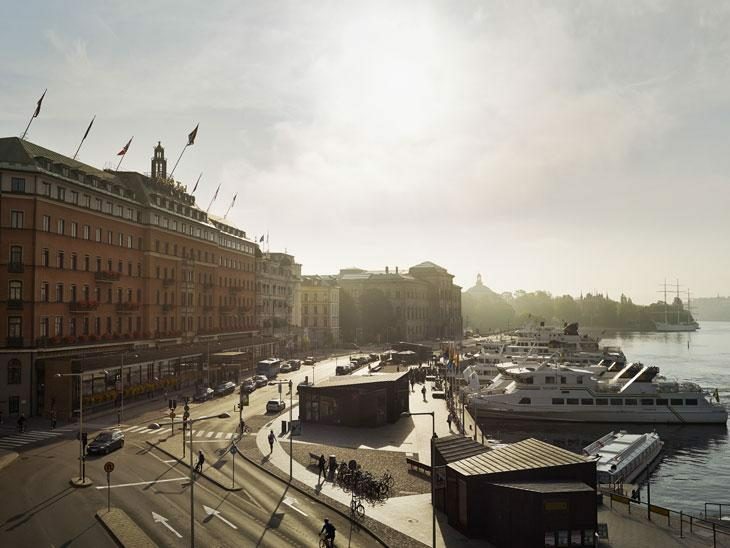 Grand Hotel in Stockholm is one of Sweden´s most prestigious five-star hotels and found themselves in a pickle lately. Read on to understand what happened when they accommodated an award ceremony for Europe of Freedom and Direct Democracy (EFDD). Grand Hotel in Stockholm is one Sweden´s most prestigious hotels, beautifully situated across the royal castle in Stockholm. Grand Hotel has hosted presidents, rock stars, kings, queens, world leaders and other celebrities. It is a well-run property worth visiting if you want a classic “grand hotel” in Stockholm. So far so good. Grand Hotel accommodated “European Freedom Awards” for Europe of Freedom and Direct Democracy (EFDD) where Nigel Farage from Ukip is one of the proverbial politicians. Nigel Farage is not known well enough in Sweden to cause any reactions. Sverigedemokraterna (SD) is a Swedish political party associated with Europe of Freedom and Direct Democracy (EFDD) and this is where it starts getting attention in media. A lot of attention! For those of you who are not familiar with Swedish politics, please let me fill you in on Sverigedemokraterna (SD): they are the Swedish analogy with Donald Trump and considered neo-fascist by the majority of Swedes. The party is legal and is in the Swedish Parliament. The booking for European Freedom Awards was confirmed for the same weekend as Metro Mode (which is the fashion section of one of Sweden´s largest publications) and Child 10 Award and Summit (organized by Reach for Change). To be honest, it does not make sense to mix a children´s rights organisation with a neo-fascist organisation, does it? What Happened When Grand Hotel in Stockholm accommodated SD? Media got hold of the fact that Grand Hotel was accommodating “European Freedom Awards” and the hotel got tons and tons of bad publicity. This is what sparked the below events. Both Metro Mode and Reach for Change decided to move their events elsewhere in Stockholm with short notice. The public started giving Grand Hotel lousy reviews as a protest when the word got out. Even people who never has stayed at the hotel gave them 1 star. Their rating on Facebook dropped from 4,6 (of 5) to just above 2 in less than a day. This is the ratings I noticed personally, they can possibly have been lower. Grand Hotel Stockholm started off with explaining to the media that they believe in discretion about their guests and that everyone is welcome if they behave well and pay the bill. As Hard Rock Café would have phrased it: “Love All – Serve All”. This is probably how most hotels would have reacted but the media storm just did not stop, it continued. To stop the media storm Grand Hotel Stockholm drops the discretion and integrity and issues a press release which states that European Freedom Awards should never have been confirmed by the hotel. This puts them on the right foot with media, but negative comments (from SD sympathizers) keep flooding in on their Facebook page. The rating function is currently disabled with the motivation that it is not a place to discuss politics. Grand Hotel probably have a clause in their booking conditions protecting them financially for late cancellations. Will they be able to use that clause against Metro Mode and Reach for Change, considering the negative publicity? Usually it is a lot more lucrative to run an event than relying on cancellation fees, because there would have been bar revenue and such. There has not been any visible effects on Grand Hotel´s Tripadvisor rating. This can indicate that the crisis has not spread outside Sweden, but could do so quickly. This is an extremely delicate situation! Saying no to “European Freedom Awards” would have been discrimination as well, just the other way around. I do not sympathize with SD but I don’t like discrimination either. As Evelyn Beatrice Hall put it: “I disapprove of what you say, but I will defend to the death your right to say it”. Grand Hotel has not had the choice to do the right thing, they have been forced to choose the least bad thing to do. Make sure you know who frequents your hotel and what they stand for. Do not discriminate but be prepared for similar situations. It can happen to you! If it happens to you, evaluate your options well and use a PR-company that is used to crisis control. Take control of social media as soon as possible. Taking control usually means you have decided how you want the issue to be handled, and then you can act. Be open, humble and sincere. There is nothing more hated on the Internet than cocky and stubborn wrong-doers.. Swedish evening papers are pursuing Grand Hotel claiming that they have not been honest. Article in Swedish on aftonbladet.se. 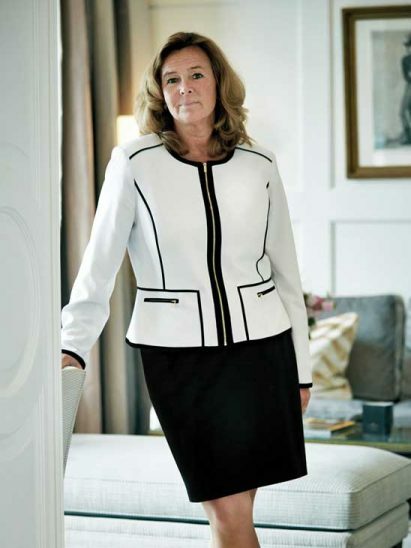 Pia Djupmark, GM of Grand Hotel in Stockholm. Grand Hotel GM, Mrs Pia Djupmark, has done several appearances on TV and numerous statements the last 48 hours. She looks surprisingly calm on TV even though she is under immense pressure, from owners, staff and media. I think she has done a pretty good job in this turmoil. What are your best tips in a crisis situation? What do you think Grand Hotel Stockholm should have done differently in this situation? I would love to hear from you in the comments below or via email, on Twitter, Facebook , Instagram or Google+.